Changing Your Car Transmission Fluid – Can This Process Cause Damage? - Muscle Cars Zone! Changing Your Car Transmission Fluid – Can This Process Cause Damage? ChrisFix has had enough and decided to finally end all the myths and questions surrounding automatic car transmission fluid. We all know how expensive transmissions can be. So, replacing or even rebuilding your transmission can cost you a lot of money. 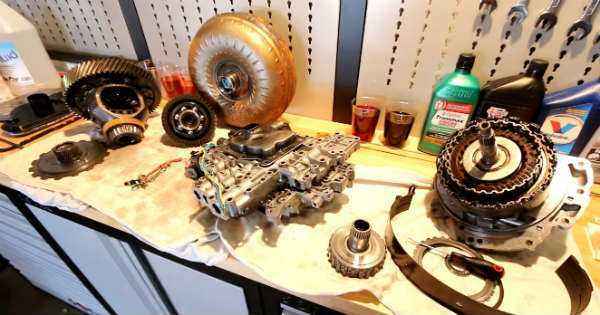 Besides, most people can`t really rebuild their transmissions without special training and tools. So, you need to maintain your transmission. However, manufacturers now install sealed transmissions that make maintaining your transmission even more difficult. It doesn`t matter the type of transmission you have because at the end of the day the fluid gets hot and the transmission eventually breaks down. Having said this, heat is most definitely number one enemy of transmissions. However, there are many variables to keep your transmission running for a long time without breaking down. In this video, Chris covers many different questions and many myths all of us have heard when it comes to car transmission fluid. Chris covers three very important topics in this video. The first topic is when exactly you should change the transmission fluid in your car. The second question is whether changing the transmission fluid can damage the transmission. The third and last question is should you change the fluid or simply flush it? He then goes to elaborate what you can do about sealed transmissions and also many more topics and questions are answered by Chris. However, the best thing about this video is that all those myths are put to rest. All in all, this is a very useful video that will most definitely help you keep your transmission in a good shape. At last, follow this link to see this 3D printed W56 Toyota transmission!